A rebound of US consumer spending in May undoubtedly brought about a risk-on sentiment yesterday. Encouraged by the data, investors on this side of the pond rushed back into the shared currency, which rose 28 points to $1.3039. Meanwhile, EU leaders are meeting to address the high level of unemployment and have pledged urgent action. We heard some dovish comments from the European Central Bank President Mario Draghi yesterday, who said that monetary policy on this side of the Atlantic is likely to remain loose. This drove the euro 72 points lower against the dollar to $1.3010, with the pair even briefly crossing below the $1.30 level. Although the EUR/USD chart is showing some good support at the moment, a retest of $1.30 might be on the cards. As yesterday's European economic data was scarce when compared with the US, it was no surprise to see the FX markets focussing on the dollar. Investors took Bernanke's comments onboard and decided to go long of the US dollar; not because of risk-off sentiment, but on signs that we may soon see lower asset purchasing. As a result, the EUR/USD pair lost 37 points to $1.3082, and I have to wonder whether this is a win-win situation for the dollar at the moment? Despite a slight rise in German business confidence, as indicated yesterday by the Ifo Institute, the euro increased by just 21 points against the dollar to close at $1.3118. Many in the forex market are remaining cautious on concerns that Chinese officials are about to hit the brakes when it comes to speculative lending. After Bernanke's comments of a possible scale down in stimulus, the shift in rhetoric continued to send forex participants into the dollar and out of the euro on Friday. As a result, the common currency moved lower for the third session in a row, posting a drop of 97 points to $1.3123. Decision making on the other side of the Atlantic continued to attract investors into the greenback and in turn weakened the shared currency. However, the drop in the EUR/USD pair was limited to 76 points to $1.3218 as consumer confidence in the euro zone rose more than estimates and up to their highest level in almost two years. Expectations of tapering undoubtedly sent investors to the dollar as they felt the buying of $85bn of bonds per month was likely to be reduced towards the fourth quarter. As such the EUR/USD pair lost 96 points to $1.3295 and is still on its way down as global markets are still digesting the FOMC press conference. Almost two weeks ago, Mario Draghi managed to inject a fresh dose of confidence into the currency markets regarding the Eurozone and this is still paying off. 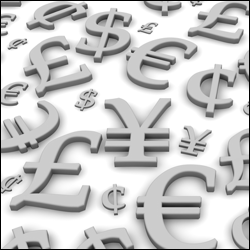 Building on that, the euro reached a new recent intraday high of $1.3414 and ended the session 29 points up at $1.3394. This came despite another fall in the Eurozone GDP figures for the first quarter as indicated by an early June economic report. Amid a narrowing in the European trade surplus to €16.1 billion from €21.5 billion, the euro found enough strength to advance 20 points against the US dollar to $1.3366. Interestingly, it may have been the uneven picture that put CFD trading investors at ease. For example, whilst Italian and Spanish exports declined 2.9% and 0.8% respectively, German exports grew by 3%. Friday's employment picture in the Eurozone turned out to be worse than initially expected, sending financial spread betting investors out of the shared currency. As such, the EURUSD pair lost 26 points to $1.3346, although it was another good week for the euro overall. There will be plenty of economic data out of Europe this week but the top event is likely to be Wednesday's FOMC meeting.